We’ve talked here before about Steam Mover, an interesting tool that lets you change the location of your installed games from Valve’s distribution system. 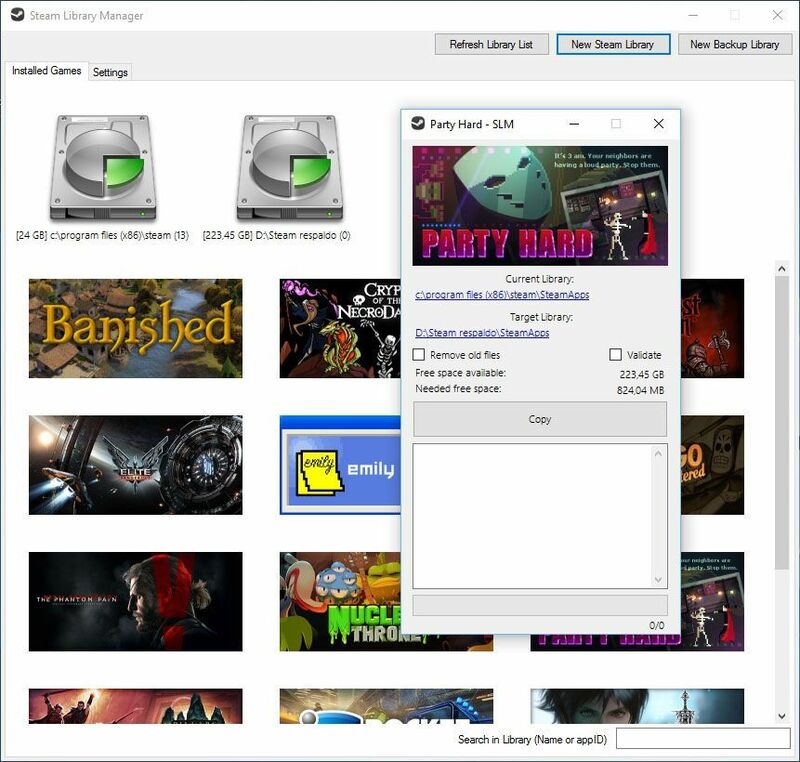 In the case of Steam Library Manager it goes a step further to also let you back up your files with security copies of your local content. Considering the more than 30GB some games can end up taking up, this seems like it could be a good idea under certain circumstances. To compare it again with the aforementioned Steam Mover, SLM has a much nicer and more intuitive interface, offering a mosaic of all the thumbnails of your installed games alonside all the possible installation paths. It’s possible to create as many locations as you want, letting you move the files for each title from one place to another or duplicate them to preserve the installation. The only requirement to use it is to have your Steam client running in the background and to have the .NET Framework on your computer. Besides this, SLM replicates other already existing features from the official client, such as checking for corrupt files, analyzing minimum requirements, uninstalling files, accessing their local location, or defragmenting installation files. This, together with its tool to search by name or ID, make this an interesting utility for people with digital Diogenes syndram and collections of hundreds of games. Yes, I’m looking at you, dear PC gamer. The first step is admitting you have a problem.